Community leaders have told of their shock after a young man was killed and another injured in a shooting in Dublin. A number of shots were fired at two men close to Gym Plus on Applewood Close in the Swords area at around 7.30pm on Thursday. A man in his early 20s was killed, and a second man, in his mid 20s, is in a serious condition in Beaumont Hospital. 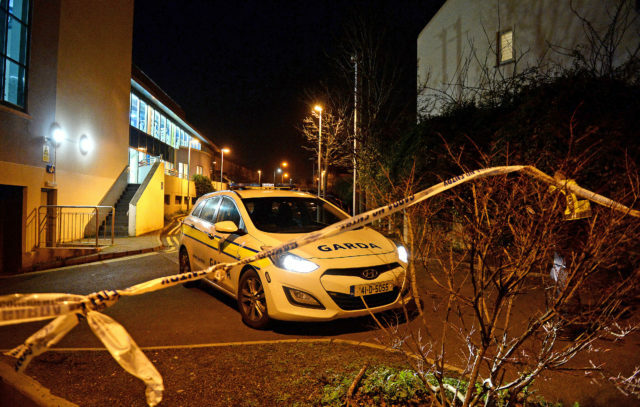 There was a heavy Garda presence at the scene on Thursday evening as an investigation into the incident started. A spokesman said investigations are ongoing. Local Fianna Fail councillor Darragh Butler described the incident as “shocking and frightening”. “People are shocked,” he said. “It’s a busy area, with shops, pubs, fast food restaurants and the gym, and especially this time of year with more people going to the gym to keep their new year’s resolutions. “It happened at a time when a lot of people would have been coming home from work, anyone could have got caught up in it. “As the news is slowly coming through, the thing that is hitting people most is just how young the men involved were. Sinn Fein councillor Ann Graves echoed the feeling of shock. “It’s certainly nothing you would expect,” she said.